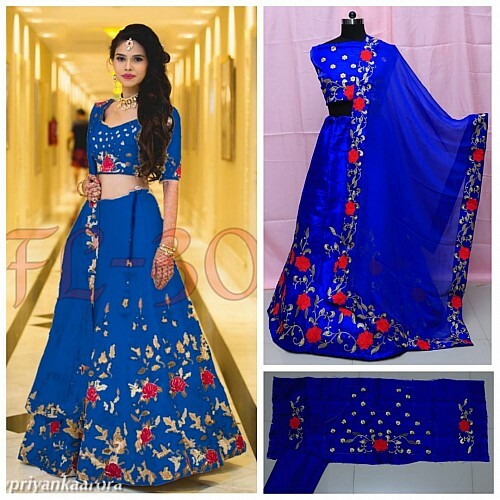 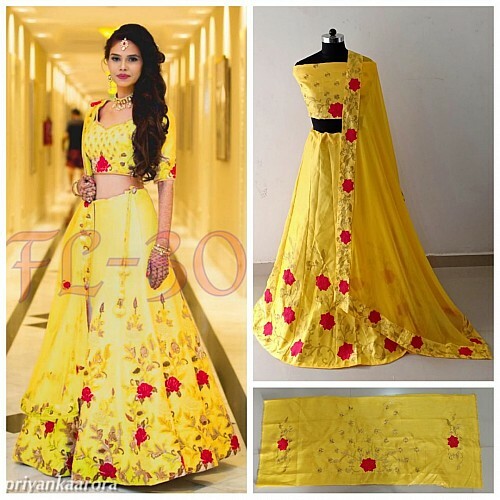 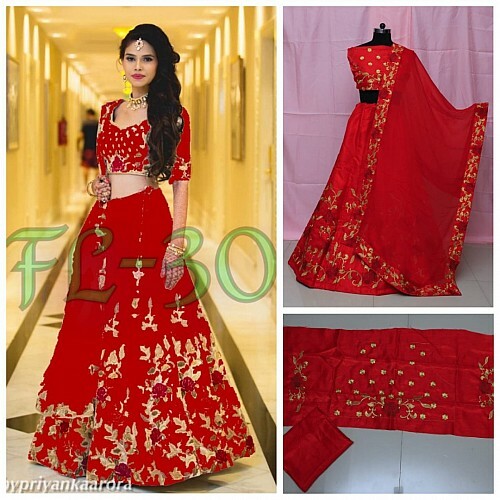 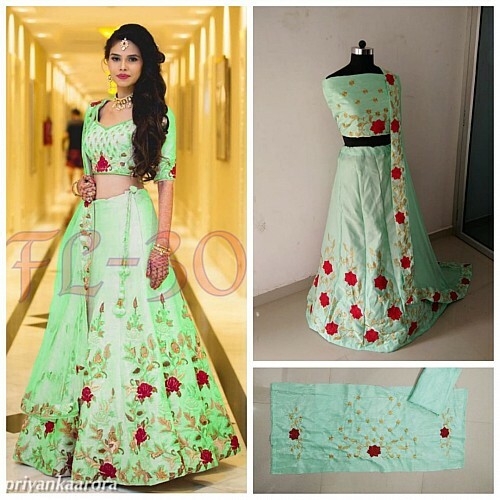 Lehenga: Heavy satin banglori silk ( Flair : 2.5 Mtr ). 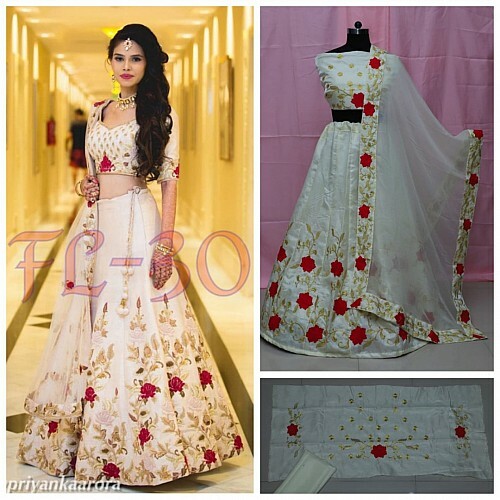 Size: 0.80 Mtr ( Unstitched Blouse ). 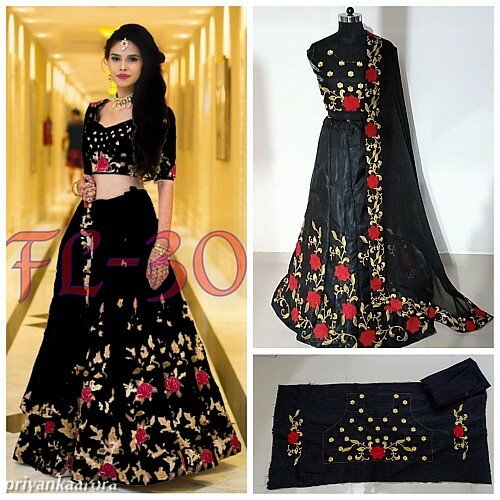 Gorgeous heavy embroidered black ceremonial lehengaLehenga fabric:-Taffeta Silk Lehenga work:-embroidery Work Lehenga Colour:-black Lehenga L.. 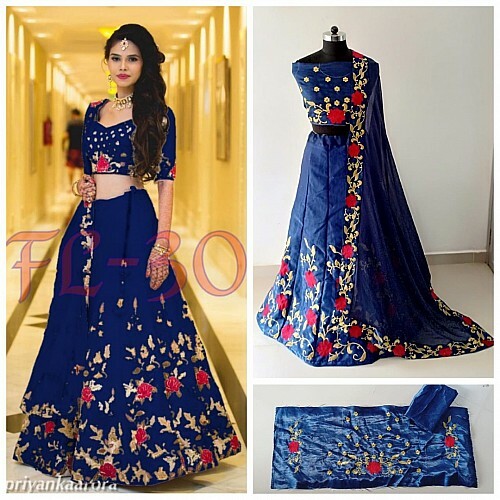 Heavy emboridered black banglori silk wedding lehengaLehenga fabric:-banglory silk+fusion Lehenga work:-embroidery Work Lehenga Colour:-black Leheng.. 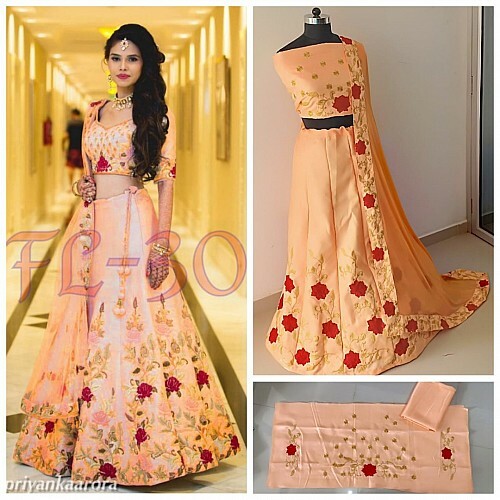 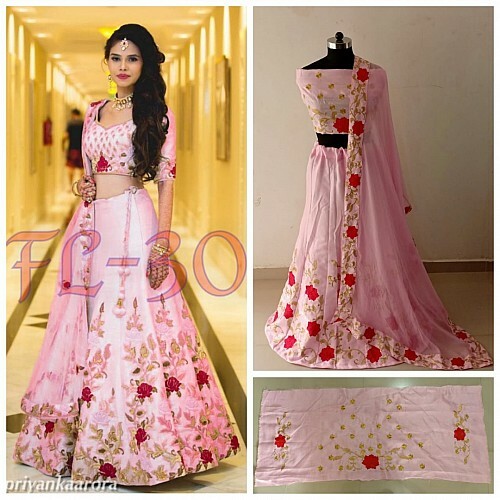 Pink banglori silk embroidered wedding lehengaLehenga fabric:-banglory silk(semi-stitch) with cancan net Lehenga Colour:rani Lehenga Work:-embroider..
pallu/dupatta : nylon mono netscut/lehenga : banglori silkblouse : banglori silkinner : satin silk work : fancy thread work with handwork.. 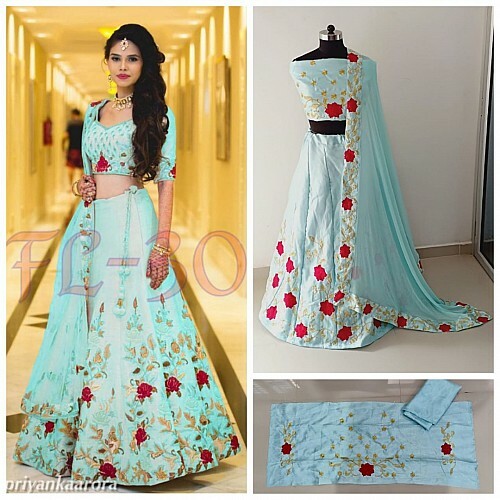 Fabric : Banglori satin skirt with digital print ( 3 meter flair )Banglori satin blouse ( unstitched 0.80 mtr )..